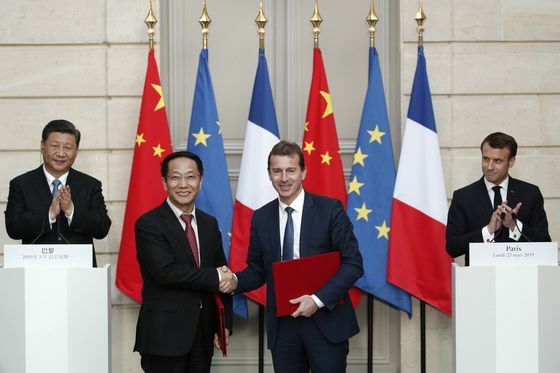 (Bloomberg) -- The ceremony at the Elysee palace in Paris exuded the full pomp of the French state. 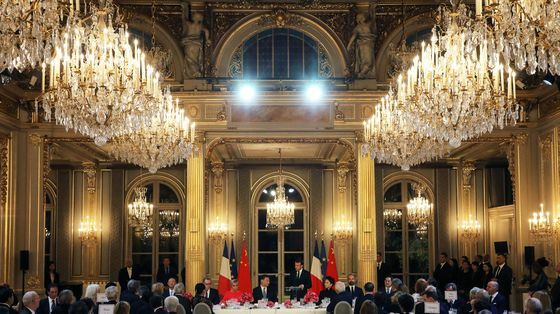 Under gilded ceilings dripping with chandeliers, executives of Airbus SE and the agency that buys planes for China’s airlines signed an order worth $35 billion as French President Emmanuel Macron and his Chinese counterpart, Xi Jinping, looked on. Boeing is mired in a painful investigation following two fatal crashes in just five months of its popular new 737 Max jet, which has since been grounded worldwide. The catastrophes, which claimed the lives of everyone on board the two planes, have tested the faith in the U.S. Federal Aviation Administration, which certified the jet, and raised a chorus of criticism about Boeing’s slow response. 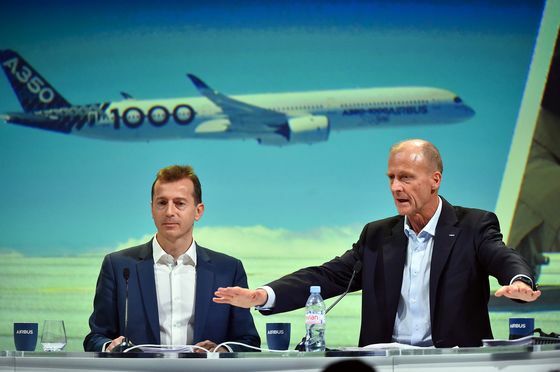 The crisis has shifted the playing field in favor of Airbus at a time that it needs a victory. In February, the company canceled its A380 double-decker after just a dozen years in service. And its sales force, mired in an investigation into allegations of corruption, has suffered the worst start to the year in at least a decade. Beyond the moral restraint keeping Airbus from trying to capitalize on the crisis, the company faces hard practical limitations. For the past several years, fraud agencies in the U.K., France, and the U.S. have been looking into allegations of bribery and corruption in the Airbus sales force. The investigations have thrown the sales team and top management into turmoil. At the same time, it’s not easy for carriers to switch manufacturers. Many airlines have made substantial down payments on their orders, which they risk losing if they cancel. Their fleets are often planned around families of jets, allowing them greater flexibility in assigning pilots and maintenance staff. And there are only two manufacturers in the business, since a potential Chinese entrant has yet to prove itself. Both of today’s players have order backlogs on their planes that are years long, so any airline that cancels would join the back of the queue at the rival manufacturer. That means the effect of the crashes on either company’s order book won’t be dramatic, says Nick Cunningham, an analyst at Agency Partners, a London equity research firm. He does, however, say that Boeing will likely feel compelled to accelerate the introduction of a new model that’s not tarnished by the two tragedies. And that, in turn, will spur Airbus to build a new plane to compete with it.